High in altitude and run only in the spring during the Mount Whitney snowmelt, whitewater rafting trips on the Forks of the Kern are serious business. Expect water to be running high, fast, and cold–remember to double check conditions before you go so you and your group are prepared. Pay special attention to your cold water/weather gear, too. Flows vary from year to year, of course, but you can usually run the Forks May to July. 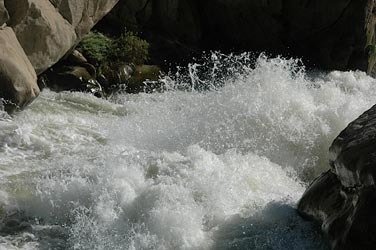 The Kern River has a wide variety of whitewater sections–enough for many skill levels. The river and its tributaries create some of the most challenging and beautiful whitewater in the world. 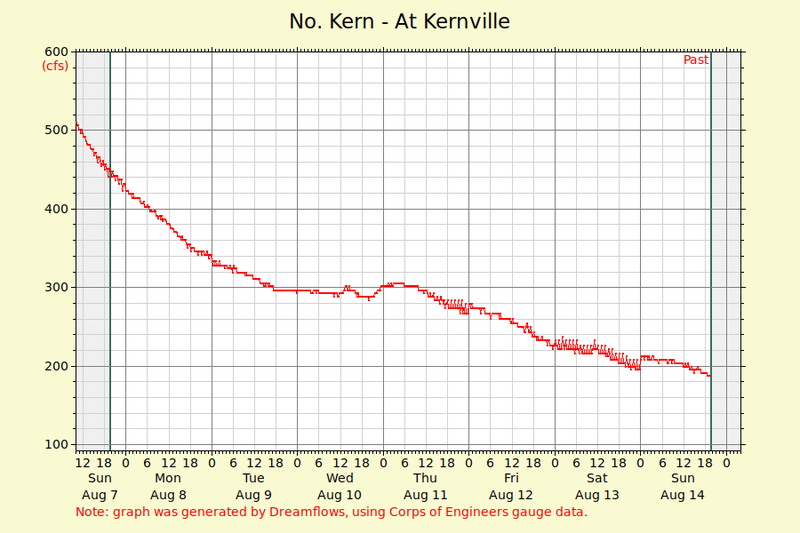 One of the Kern’s uppermost sections, and very high altitude (4690 ft! ), the Forks run is particularly beautiful and remote, with the jagged “Needles” slicing into the skyline, and rugged granite slabs arranged haphazardly along the riverbank.